The BBC has apologised after it sparked outrage by referring to Turkish Cypriots as “thugs” in a story published on its website. The word was used in a news report about the UK’s decision this week to pay £1million in damages to 33 Greek Cypriots who claim they were tortured by the British in the 1950s. The individuals – now in their 70s and 80s – were members of the Greek Cypriot terrorist organisation EOKA, which launched a bloody campaign to rid Cyprus of British rule and pave the way for Enosis, union with Greece. EOKA also targeted Turkish Cypriots and fellow Greek Cypriots who did not want the island to become part of Greece or who were seen as being on the side of the British. 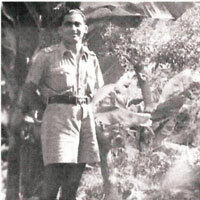 Sgt Abdullah ‘Çavuş’ Alparslan was the first Turkish Cypriot to be killed by EOKA, in Paphos in 1956. Some 371 British military servicemen were also murdered by EOKA between 1955 and 1959 during what was known as the ‘Cyprus Emergency’. Cyprus became independent in 1960 but power-sharing arrangements collapsed when, with their British masters out the way, Greek Cypriots launched a planned island-wide assault on Turkish Cypriots in December 1963. More than a 100 Turkish Cypriots were killed or went missing and over 20,000 were forced to seek refuge in makeshift camps. Hundreds of their homes were either destroyed or looted and Turkish Cypriots spent the next decade living under siege, isolated and suffering from further attacks. EOKA-B, a successor to the original EOKA, was behind a renewed attempt to annex Cyprus to Greece on 15 July, 1974, when an Athens-backed military coup sought to assassinate then-President Archbishop Makarios, who fled for his life. Turkey, fearing for the safety of the Turkish Cypriot population, intervened five days later. 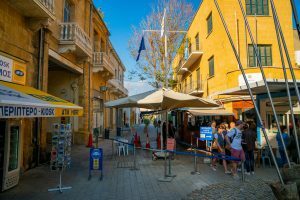 On Wednesday Sir Alan Duncan, the UK’s Minister for Europe, announced that the British Government had reached a “legal settlement” concerning “civil law claims arising from the Emergency Period in Cyprus”. 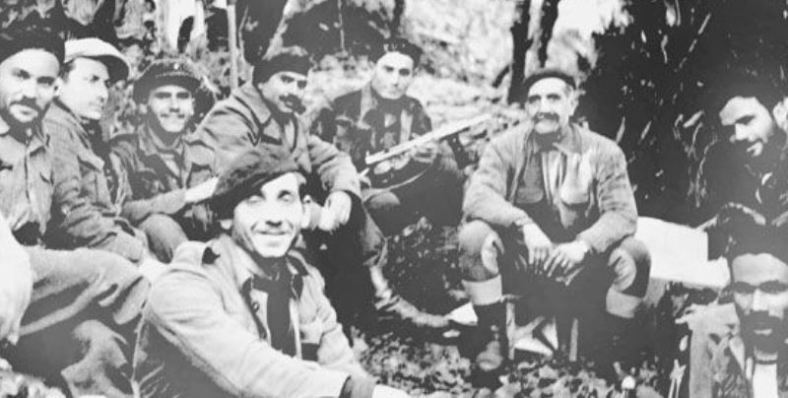 In a written statement laid before the House of Commons, Sir Alan said that Greek Cypriot “paramilitaries” had fought an “armed guerrilla campaign to try to bring to an end British rule in Cyprus” and form a union between Cyprus and Greece. “As part of the response to this campaign, the Governor of Cyprus instituted emergency measures which included the deployment of UK military and police personnel,” his statement continued. “In July 2015, 35 individuals (since reduced to 33) brought claims against the Secretary of State for Foreign and Commonwealth Affairs and the Secretary of State for Defence regarding their treatment in detention during the Emergency. Sir Alan stressed that the settlement “does not constitute any admission of liability” and is “not a precedent in respect of any potential future claims” against the British Government. “Indeed, the Government has maintained throughout proceedings that the passage of time means that it is now no longer possible to establish all of the facts with certainty,” he added. “However, the Government has settled the case in order to draw a line under this litigation and to avoid the further escalation of costs, which would ultimately be borne by the taxpayer. 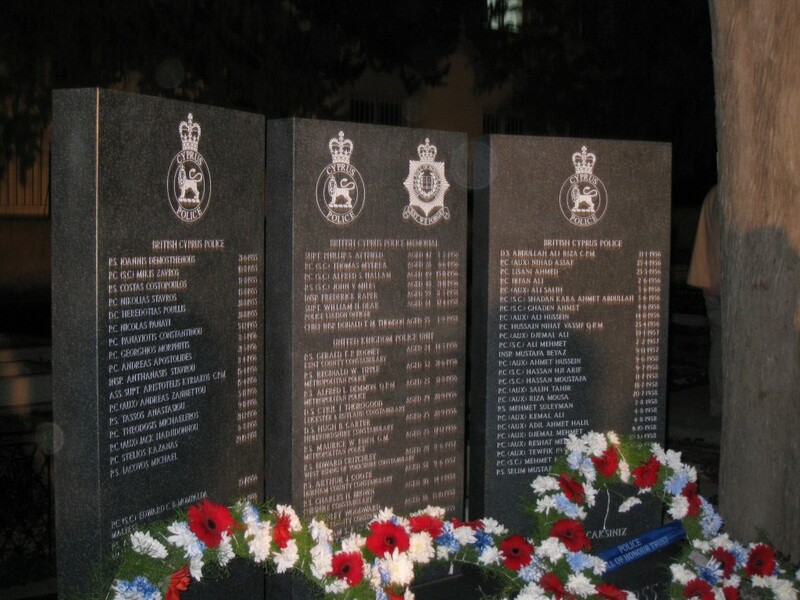 “In reaching this settlement, the UK Government reaffirms its highest respect for the memory and sacrifice of British and Cypriot service personnel and employees of the Crown who gave their lives, who lost family members or loved ones, or whose lives suffered permanent disruption as a result of the Emergency. The minister said that while “we must not forget the past – and indeed we must learn from it” that it was also important to “look to the future”. A statement issued by the office of Greek Cypriot leader Nicos Anastasiades said it welcomed the UK’s announcement “with regard to the treatment that fighters were subjected to in the course of the Struggle of EOKA (1955-’59)”. Sir Alan’s announcement received widespread media coverage, including an online report by the BBC. The paragraph was later amended by removing the reference to “Turkish Cypriot thugs” following questions put to the BBC by T-VINE and a storm of protest from Turkish Cypriots, who took to social media in anger. “They’re not being impartial in this article,” wrote Facebook user Mustafa Niyazi. “They are also using grossly offensive language to describe the Turkish Cypriots who were employed to help the British police the island during the Cyprus Emergency. They are attaching to them the term ‘Turkish thugs’. “They are downplaying the ‘terrorists’, which the British Government officially identified them to be, as victims. Issy Hassan Atahasan said in a written complaint to the BBC that it should be “ashamed” for allowing “propaganda” to be included in the story. “The writer of this article has added ‘Turkish Cypriot thugs’ to the report,” part of his complaint said. “It is offensive when we bear in mind that during that emergency the British authorities relied on the help of Turkish Cypriot policemen. 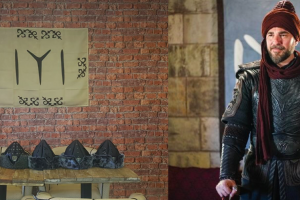 “By including such an insulting term it’s defamation of the characters of those men. My uncle was one such policeman and the word ‘thug’ would never describe him. “Turkish Cypriots were also victims of the EOKA terrorist group. Under what basis has the writer included those words? And from what source? Who actually wrote it? His complaint concluded: “The BBC should be unbiased in their reporting and it’s a shame the BBC cannot publish any factual truth of what happened in Cyprus through the 50s and into 1974 and further. Another Facebook user, Jane Yates, said the BBC report was a “disgusting piece of non-factual journalism”. “The BBC have not researched this and have just gone along with small minded, scandalmongers which sadly the whole world believes,” she wrote. In a statement to T-VINE, a BBC spokesman said last night that the inclusion of the word “thugs” in the original story had been a “mistake” and that the article had now been amended. “We apologise for any offence caused,” the spokesman added.